One of the most baffling and crippling sorts of diseases are those that incite the immune system to attack the body. This class of diseases, known as autoimmune diseases, may seem like a very specialized and rare affliction, but in truth, it manifests itself in the form of several commonly known ailments like rheumatoid arthritis, asthma, type 1 diabetes, and multiple sclerosis. A new study from the University of California, San Francisco points to some of the causes and thus possible treatments for autoimmune diseases. In modern biotechnology (and in many of our Science Market Update posts), to better understand a condition, a great place to start is with the genes. In this case, however, past research had been pointing against genes playing any meaningful role in autoimmune diseases. Not to be deterred, Alex Marson, MD, PhD, and his lab stuck to their hypothesis that the key to understanding these diseases lay in the DNA. Marson and his lab used next-generation sequencing and consulted DNA databases to try to find the correlation they were looking for. In the process, they even developed a new mathematical tool to more deeply probe DNA databases. What they ultimately found is that the “key” they were looking for was not actually the genes, but was indeed inside the DNA. To be specific, the parts of DNA known as “enhancers,” which contain functional instructions for the DNA and not genetic material, are actually strongly correlated with the efficacy of autoimmune diseases. These “enhancers” were previously thought to serve no useful purpose. “Once again, research is revealing new meaning in the world of DNA once thought of as junk — short, seemingly random DNA sequences that in fact serve meaningful roles in human physiology,” remarks Marson in a UCSF press release. This of course opens up the questions of what else these enhancers and other seemingly useless bit of DNA correspond to in the body. Another useful result of the study is the reaffirmation that multiple sclerosis (MS) is indeed an autoimmune disease. “This is highly consistent with the new multiple sclerosis treatments that work on the immune system, suggesting that we finally have a good handle as to the underlying causes of MS,” says David Hafler, MD, with whom Marson collaborated on the study. The majority of funding for this study came from The National Institutes of Health and the National Multiple Sclerosis Society. For more information regarding funding and grants at UCSF, take advantage of our free UCSF Funding Statistics Report, available via the button below. 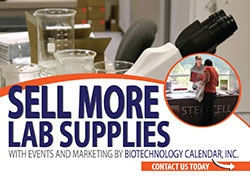 If you are a Bay Area researcher or laboratory supplier, and would like to boost awareness of your products and increase scientific sales, plan to attend Biotechnology Calendar, Inc.'s annual Biotechnology Vendor Showcase™ Event at UC San Francisco™, coming up at the beginning of next year on February 26, 2015 on the University of California, San Francisco campus. While you’re in the area, consider attending BCI’s BioResearch Product Faire™ Event at The UC Davis Medical Center™ the previous day, February 25, 2015. Biotechnology Calendar, Inc. has been bringing life science research trade shows to top research campuses for 20 years now. If you’d like to attend a show closer to home, please see our 2015 schedule of events.